Feeling like your style is hopelessly out of date? Time for a fashion makeover. Here are 8 essential tips to help you dress better this year. If you’re feeling uninspired by your closet, then it may be time to spice it up and dress better. As we age and grow, our style interests change. Our favorite sweater may all the sudden be a reminder that we’re just not that person anymore. Putting it on may now feel awkward instead of comfortable. This is a great sign that you’re ready to dress better and level up your style. But, where to begin? Our favorite comfy sweater shows us what we don’t want, but we may still have no vision for what we do want our style to look like. We know we’ll have to purchase new clothing, but how can we be sure we’re not wasting our money? Read on to discover how to makeover your style and dress better this year with these eight essential tips. Our clothes reflect who we are, so dressing better means feeling better. When we feel great, we exude confidence and set ourselves up for success in all areas of our lives. 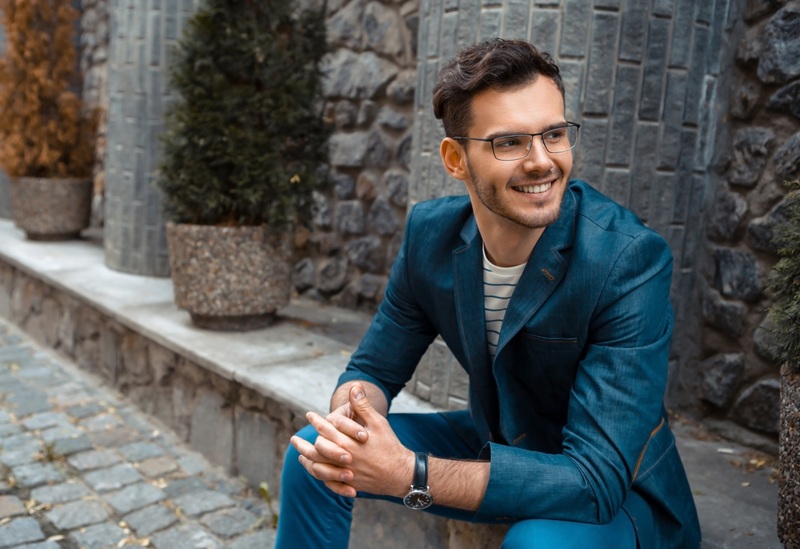 Explore the following eight tips for upgrading your style in 2019. Take time to pick and choose which clothing items you want to keep from your closet. Make a day of it to determine what fits you, what doesn’t suit you, and what you want to get rid of. This phase is difficult for many people because some of the clothes in their closets may still have tags or be perfectly wearable. To reduce guilty feelings that arise, Tidying Expert, Marie Kondo, suggests holding each piece clothing item and thanking it. Thank it for serving its purpose even if that purpose was to show you it doesn’t fit your style anymore. You can also donate or sell your clothing to feel like it’s not going to waste. The cash you receive from selling your clothing to a second-hand shop can also help to fund your new wardrobe. Start with a basic style palette. Starting with basic, staple items will help you to accessorize and add in more adventurous style options later on. Staple items are the go-to footwear and clothing items that help you to form your style. These are items that you can wear over and over. They are versatile and usually simple in nature. For example, a basic black top, a pair of brown shoes, and a pair of dark fitted jeans. Selecting neutral colors is a great way to start. Neutral colors like black, gray, or brown can be paired easily with other colors and accessories. A great place to find style role models is Pinterest. You can use Pinterest to search for clothing styles and create a folder dedicated to understanding your style. After a while, you’ll notice a pattern in the type of styles and clothing items you’re interested in. This will help you to determine what layering options, colors, and accessories you’re drawn to. You’ll also get an idea of how these pieces could look with different outfits. For example, if you notice that you’re drawn to black blazers matched with a casual look, search “casual black blazer outfit” to see how others have styled it. Following celebrities who have great style on Instagram is also a great way to get inspired. Fitted clothing will always be in. Fitted clothing doesn’t mean that it’s tight, it means that it fits your body. When you find the right fit, invest in it! Especially, for more expensive items like jeans and suits. The last thing you want to do is go out in the world and feel out of place in your new wardrobe. Remember you’re upgrading, not trying to be someone you aren’t. Your clothes need to be the right size and not give you a baggy look. They also need to highlight your features and make you feel comfortable wearing them. For example, if skinny jeans make you feel exposed and uncomfortable, then you likely won’t come to appreciate them later on even if they are trending. Instead, find a different fit that accentuates your personality and style. Trends are fun! But, trends come and go sometimes at a moment’s notice. So, before you invest all your money into the latest style trends invest in a classic, staple item-centered wardrobe. Once you get the basics, then have fun with trends. Buy one to two trending items at a time to see how you feel wearing them on a consistent basis. Feel free to experiment with new colors and patterns. It’s important to stick to your fit when experimenting with trending items. For example, if loose baggy dresses are trending, but you know you don’t like the way they look on you then don’t force it. Let them trend and stick to feeling confident instead of fashionably forward. Avoid going on a large shopping spree and buying everything at once. Try out one to two items before investing further. If you find that a gray v-neck t-shirt is a staple in your wardrobe, then feel free to purchase more gray v-necks or buy v-necks in other colors. Accessorizing is a great way to spice up your wardrobe. Accessories can instantly alter your overall look without breaking the bank. Consider purchasing staple accessories before purchasing trending ones. For example, invest in a great watch you can wear daily such as Tag Heuer Watches. Then expand your accessory options by adding in trending accessory styles. For example, a necklace or chain that you would only wear with certain outfits or on certain occasions. Building your new style will take time. Be patient with yourself and don’t feel the need to have it all figured out in one shopping trip. As you continue learning more about yourself and your style preferences, you’ll feel more confident in making authentic style choices. Dress better to feel better and you’ll be well on your way to becoming the most confident and authentic version of you. Choose items that are versatile, but be open to experimenting. When in doubt, throw items out! The more you de-clutter your closet, the more inspired you will feel to add more items that reflect who you are at this point in your life. Want to learn more style waves sweeping the globe? Check out our blog post all about gender-neutral style to get inspired.